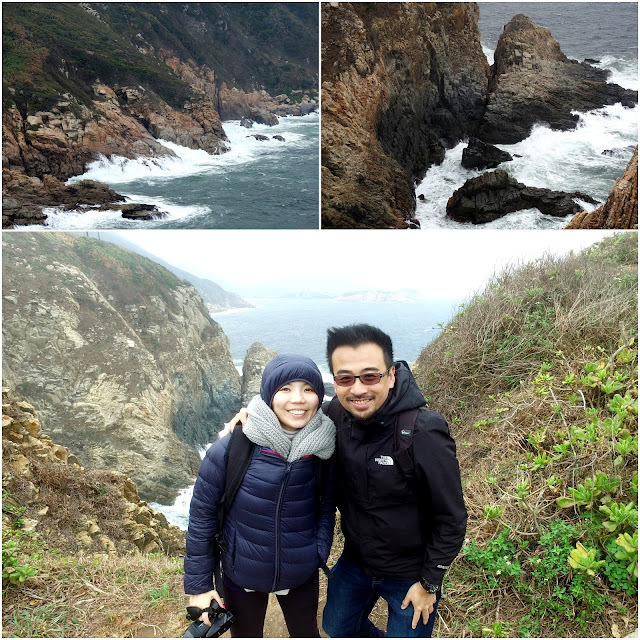 This is one of the most relaxing (easiest) and scenic HK coastal hikes! 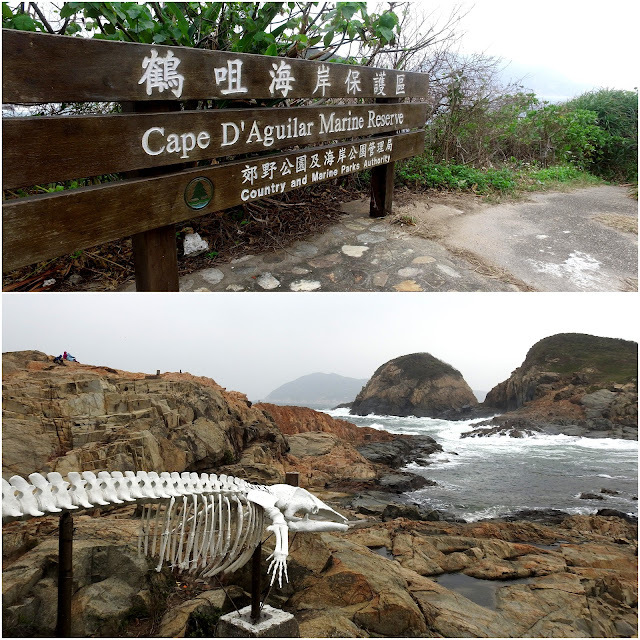 The Cape D’Aguilar Marine Reserve (鶴咀海岸保護區) is literally a natural charmer! 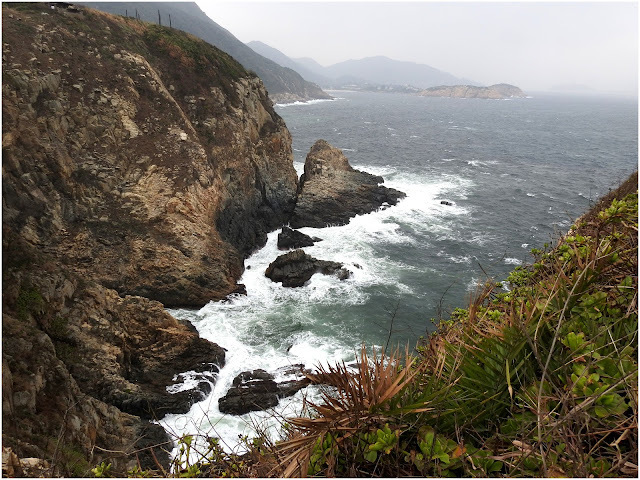 Despite being located at the far south-eastern tip of Hong Kong Island, it is accessible by taxi and bus (Number 9 from Shau Kei Wan bus terminal). Hiking to the key coastal sites is a breeze. It is a short 20-minute walk from the bus stop and there isn’t any steep slope to tackle. Thanks to my lovely colleague Celia who brought us here (accompanied by another 2 pretty friends!). 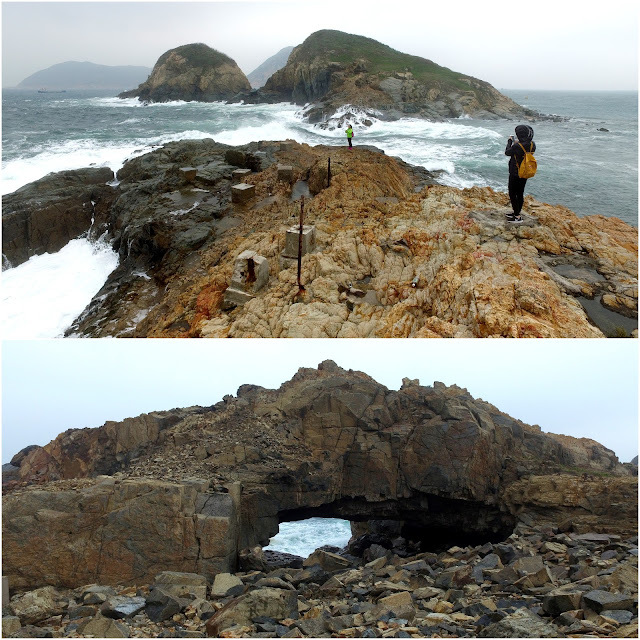 Home to Hong Kong’s oldest lighthouse (Hok Tsui Beacon) and many scenic geological sites (the ocean arch, sea cave), the Cape was listed as Hong Kong’s first and only Marine Reserve 30 years ago. 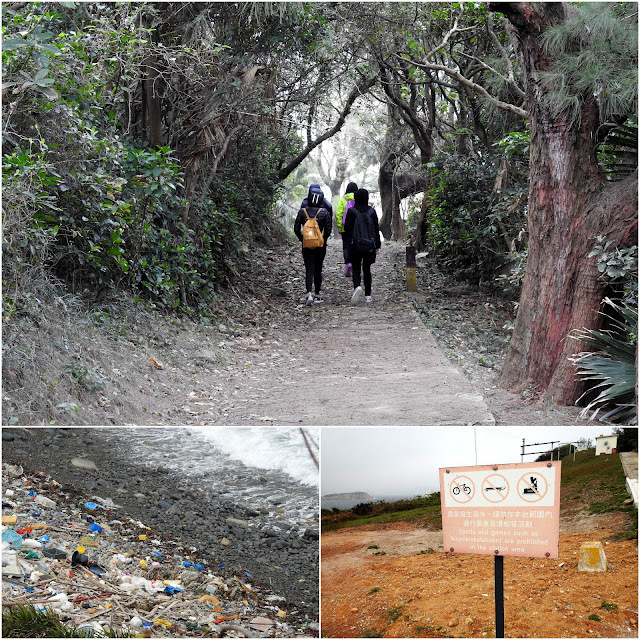 Unfortunately, some parts of the cape is littered with heaps of garbage today. 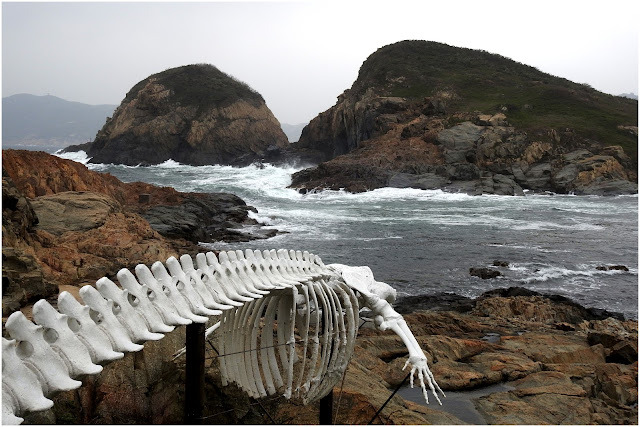 It is important to keep the Marine Reserve clean. Hope the authority will do something about the trash. Knowing Celia for almost 2 years, I just found out that she is a daredevil. 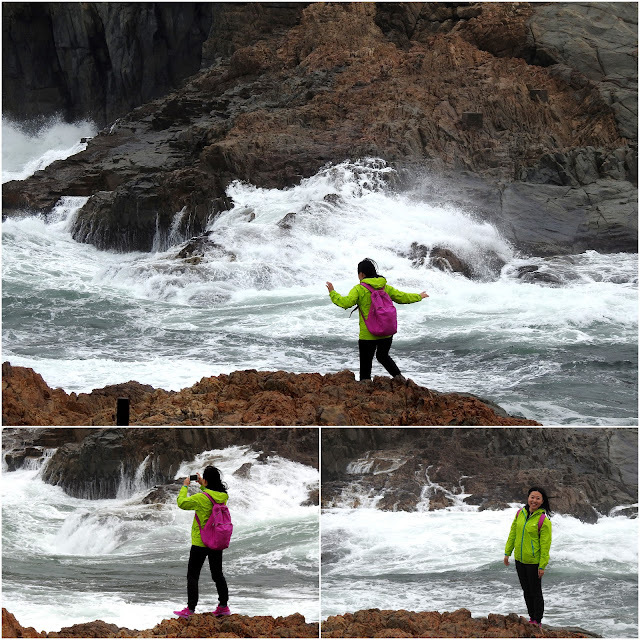 On many occasions, she explored dangerously out to the edge of the cliffs and choppy shoreline. We were so worried for her. Earlier today while waiting for Tracy and I, she ventured out alone with 2 strangers (old men) into an unknown dark cave. She left her 2 worried female friends outside the cave. 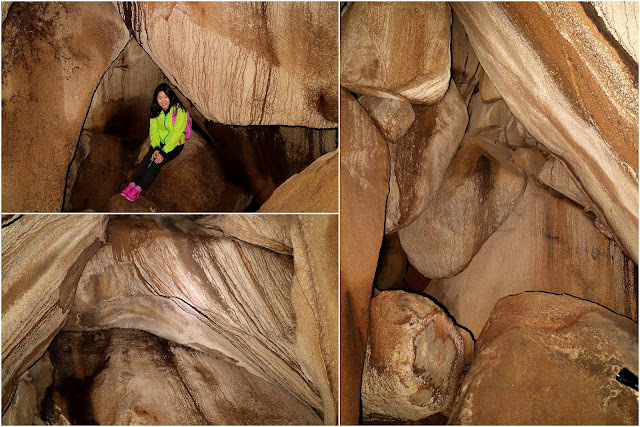 Her adventure inside the dark cave lasted 40 minutes! Fortunately, she was rewarded with some really stunning photos! I have asked her to bring me back to this unchartered cave the next time! We spent about 2 hours at the Cape. It was extremely cold and windy. We only managed to explore 50% of the marine reserve. The tide was swelling with big waves. 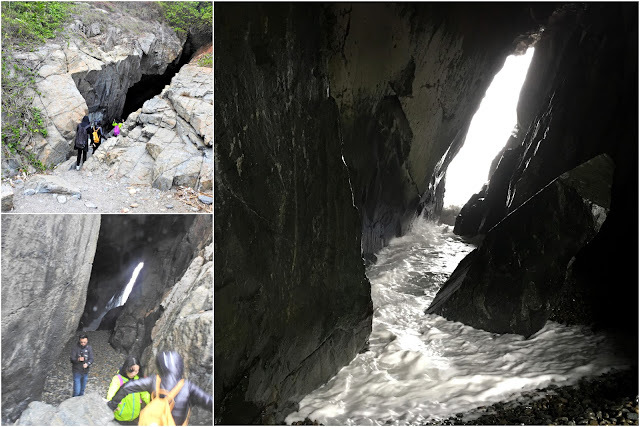 We had a close-call inside the sea cave. Just when we were leaving the cave, huge waves came crushing into the narrow channel. We were extremely lucky as coastal conditions can be very unpredictable and dangerous. We were just 10 seconds away from the disaster! What a great day! Will come back with family, friends and my e-scooter the next time! Hi! I’ll be heading to here alone, so I wanna make sure I don’t get lost. Can I ask how long the hike is from getting off the bus? Also will I know when to get off? Hi Marie, it is a short 20 minute walk from the bus stop. Best to go during weekend when there will be hikers around. Follow the main road and you will reach the cape. Have fun! Enjoy the hike! The weather should be good today! March-April is still a good hiking season when the temperature is still cooling. It is best to go there in the morning (8-9am). It is usually quiet during the weekdays, best to be there on a Friday or weekends when you see hundreds of hikers. This is a very gentle hike, takes about 2-3 hours (including return) at most. 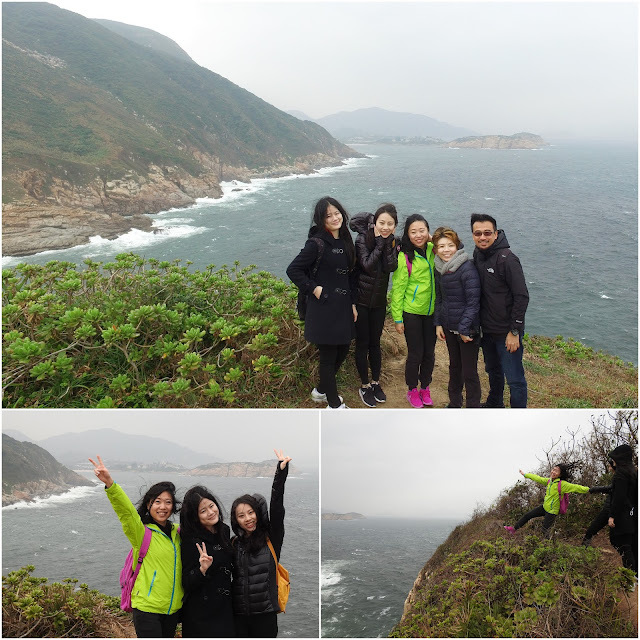 Hiking is relatively safe in Hong Kong. This location isn’t remote and all too isolated/dense inside the forest. Thanks for the information!! I will check the weather before heading over!Yeah it should be weekend!